Tantum Ergo was written by St. Thomas Aquinas. The words are taken from the final verses of the Vesper Hymn, Pange Lingua of the Office for Feast of Corpus Christi that Aquinas wrote in 1264 at the request of Pope Urban IV. 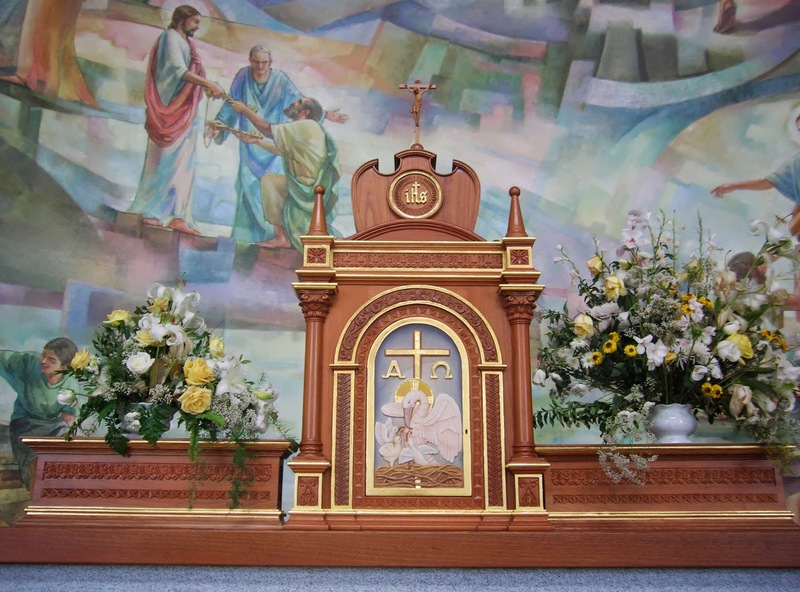 Despite it's origins as part of the Divine Office, Tantum Ergo is more closely associated with it's prescribed use in the Benediction of the Blessed Sacrament. In the 19th century it was translated by Fr. Edward Caswall (1814-1878) as Down in Adoration Falling (2nd video) which is traditionally sung to a tune from Cantus Diversi by John Francis Wade (1711-1786). In recent years a longer version of this translation was given a contemporary arrangement by the popular Catholic recording artist: Matt Maher (see 3rd video). 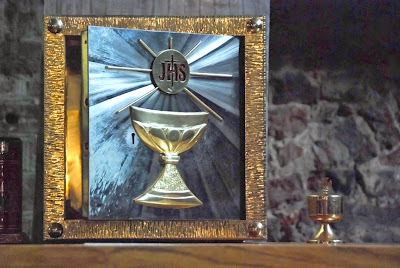 The hymns selected from the Liturgy of the Hours for use on the Feast of Corpus Christi, or the Feast of the Most Holy Body and Blood of Christ reflect the theme of 'sharing our life with Christ'. In the following video, Fr. James Gardiner of the Franciscan Monastery of the Holy Land located in Washington, D.C. shares some of his thoughts about Corpus Christi. He begins by noting it's similarity with Holy Thursday and the institution on that day of the Sacrament of the Eucharist. The Feast of Corpus Christi was established in 1264 by Pope Urban IV. In the same year he commissioned St. Thomas Aquinas to compose a special Office for Corpus Christi which included Pange Lingua Gloriosi, Tantum Ergo Sacramentum and Adoro Te Devote. Fr. Gardiner sums up by reminding us that "like the consecrated Bread and Wine, we are challenged to be, ourselves, a real presence of Christ in the world". The hymns used in the Liturgy of the Hours for the Solemnity of the Most Holy Trinity reflect the theme of the ineffable mystery of God. John Paul II stated in a homily given at a Mexican Seminary in 1979, that "our God in his deepest mystery is not a solitude, but a family, since he has in himself fatherhood, sonship and the essence of the family, which is love." In his video series: Catholicism, Bishop Robert Barron picks up on John Paul's words of interpersonal love within the Godhead to describe the Trinity as the "Lover, the Beloved, and their shared love." He goes on by quoting from Book IX of De Trinitate in which St. Augustine presents the image of the Trinity as "Mind, Self Knowledge, and Self Love". 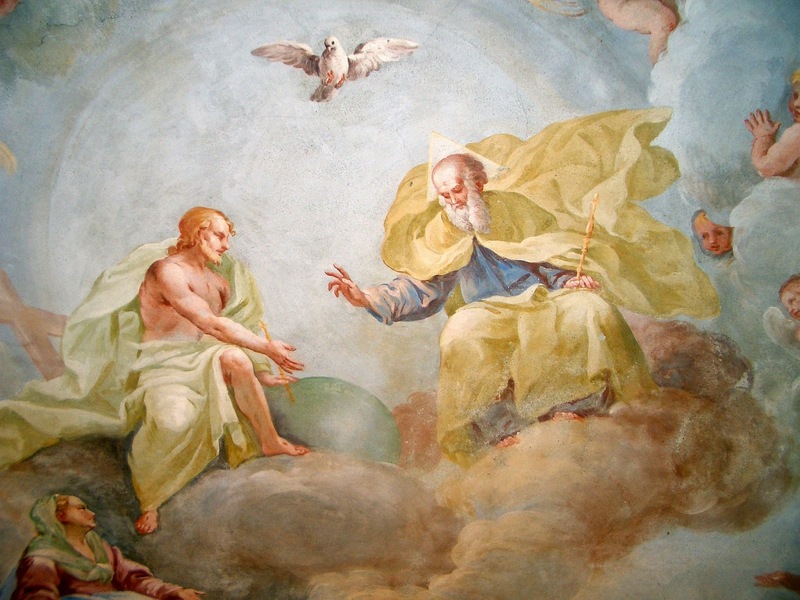 And finally Bishop Barron suggests that even our own struggle to fully grasp and describe the Trinity points to the mystery, not unlike Benedict XVI's analogy of the incense we use at Mass as a symbol of the ineffable. The hymns used at Pentecost in the Liturgy of the Hours celebrate the founding of the Church as Christ's Mystical Body, and the Father's sending of the Holy Spirit that will always remain with the Church, continually renewing, guiding, and pouring out his graces upon his people. In the following video, Fr. James Kubicki, SJ of the Apostleship of Prayer shares some of Pope Benedict XVI's refections on Pentecost from his Homily on Pentecost Sunday for 2009. Benedict reminds us that "Pentecost is distinguished from all the Solemnities by it's importance since what Jesus himself had announced as the purpose of the whole of his mission on Earth is brought about in it." What is his purpose? As he said in Luke 12: 49: "I came to cast fire upon the earth; and would that it were already kindled!" Come, Ye Faithful, Raise the Strain is a translation of an 8th century Greek canon by St. John of Da­mas­cus (675-749). 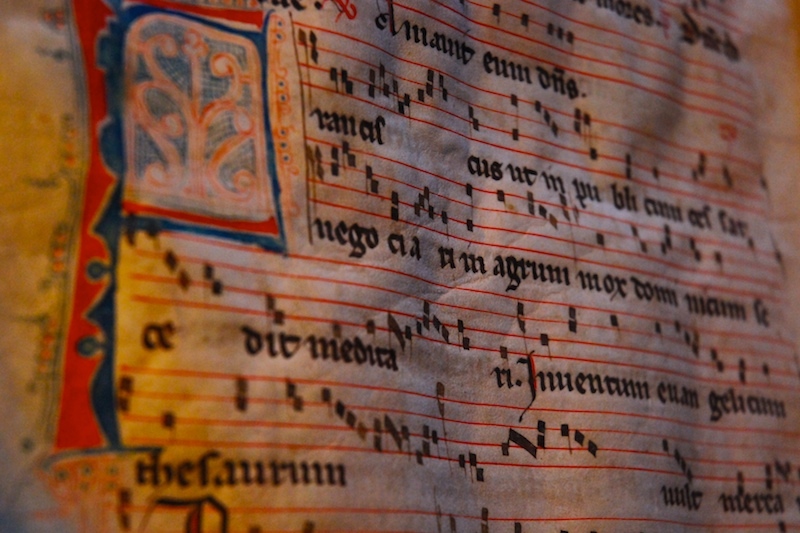 It was composed around the year 750, to be used for the first Sunday after Easter. It is based upon the 'Song of Moses' from Exodus 15. 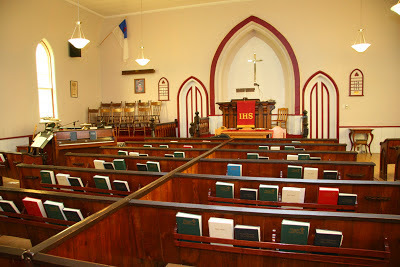 Such canons, or hymns in the Eastern Church depict Salvation History using Old Testament 'types' and prefigurements that are fulfilled and made real in the New Testament. In 1859 the text was translated into English by the Anglican minister, John M. Neale, (1818-1866) and set to the 1872 tune: St. Ke­vin by Sir. 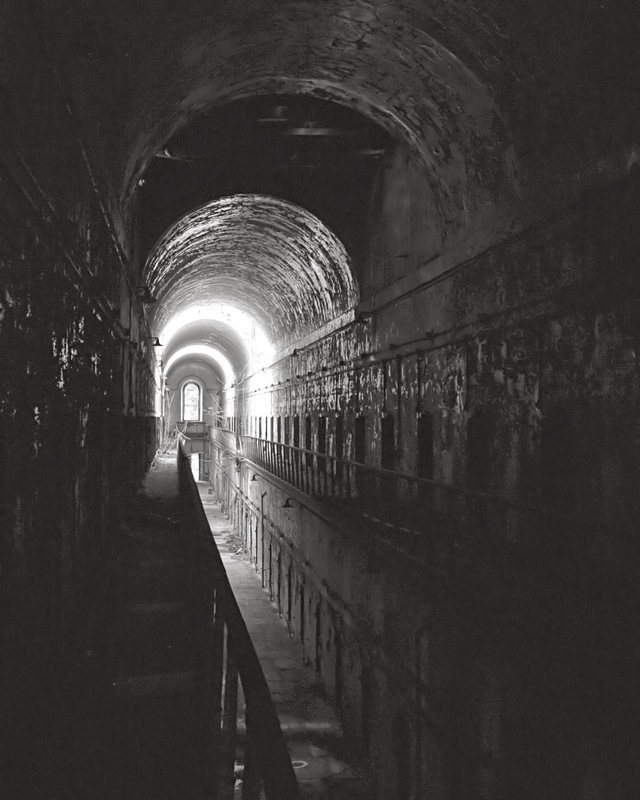 Ar­thur Sul­li­van (1842-1900). In the Divine Office, Come, Ye Faithful, Raise the Strain is used during Easter Season. That Thy peace which evermore passeth human knowing. Alphabetical index of the hymn and poems selections included in the Divine Office (non-ICEL, 1974) which is approved for use in Australia, England, Gambia, Ghana, India, Ireland, Kenya, Liberia, New Zealand, Nigeria, Malaysia, Scotland, Sierra Leone, Singapore, Tanzania, Uganda, Wales, West Indies and Zimbabwe. Related: Numerical Index. Alphabetical index of all Latin Hymns on this website. Many of them were traditionally used in the Roman Breviary. Prior to the reforms introduced by Paul VI in 1974, the Breviarium Romanum (1962) was the approved version of the Office used throughout the Church. 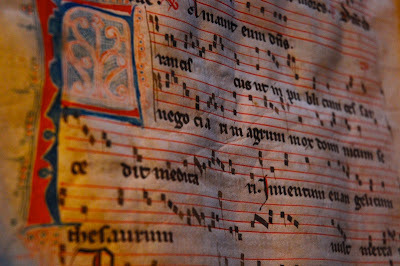 It was prayed or sung in Latin and was itself the result of numerous revisions throughout the centuries. 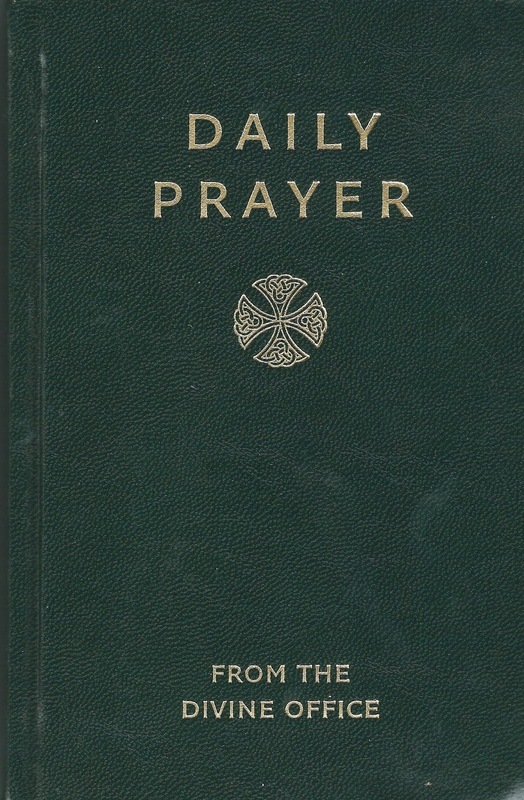 A number of the hymns selected for the Liturgy of the Hours (Divine Office) are English translations from the original Latin, and thus represent a degree of continuity with the Roman Breviary. Where possible I have presented both the the original Latin text and audio/video performance along with it's English translation.